Kidderminster Choral Society is always happy to welcome new members as we work hard to keep a strong singing community alive. 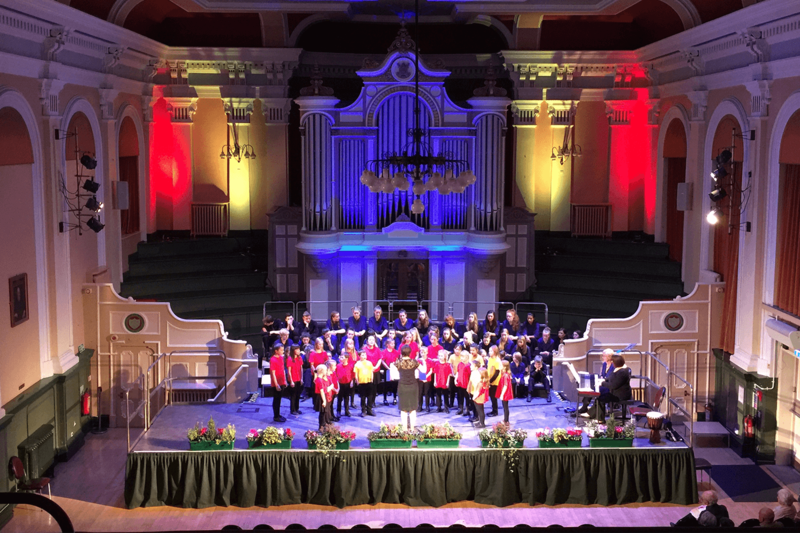 We do not hold auditions for any of the Society’s choirs; the one requisite for the Choral Society is that you should at least be able to read music fairly well, but for the youth and junior choirs even that is not a problem! We are very fortunate and proud to have a membership of over 220 individuals from varied age and experience in all areas of singing. Some of our members have been with us for a very long time and some are still very new but all thoroughly enjoying being part of a community. We also welcome non-singing members – this is one way in which you can support the Society even if you cannot get to concerts. 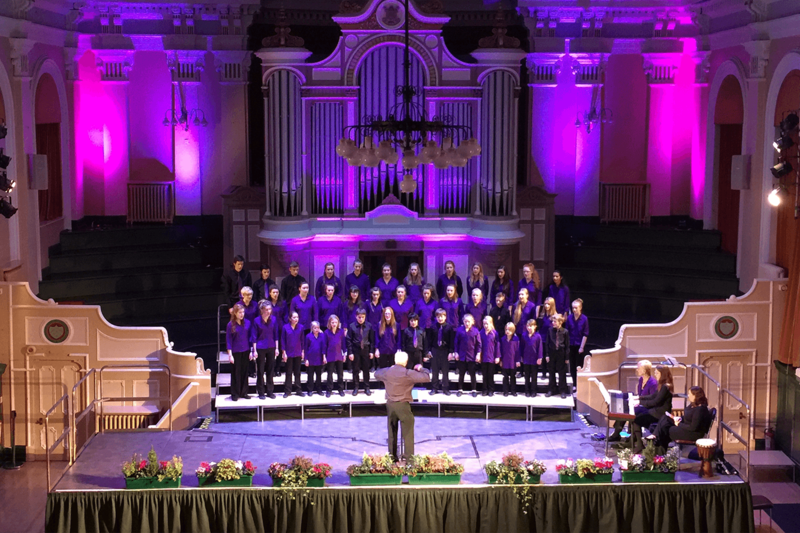 Whether you are joining the Choral Society with an existing love for singing, or just starting out as a child or young person with blossoming love of music, we have a choir for you. Being a Choral Society member you will enjoy the breadth of music from the great choral works, as well as the opportunity for lighter singing with our Summer Singers repertoire. Our Young Voices they enjoy music from classical to folk, and musical theatre to world music. And in Primary Chords it’s all about nurturing an early love for singing with opportunities for performance and fun. 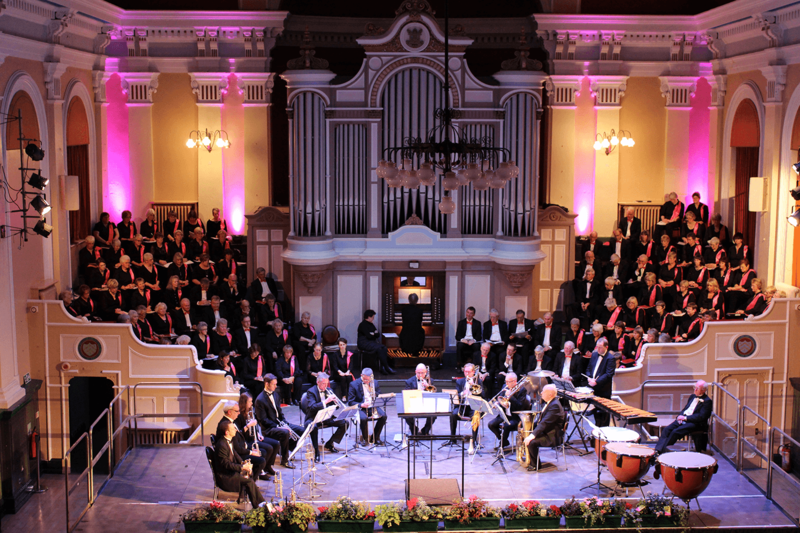 Kidderminster Choral Society enjoys a great range of music, just as it appeals to a range of ages and talents, and always striving for the very best in musical performance. The society benefits from a wealth of musical knowledge from the many musical professionals we engage, all of whom have a proven track record for musical excellence. Including its Musical Director: Geoff Weaver, Vocal Coach: Suzzie Vango, Primary Chords Musical Director: Carol Hill, and our talented Accompanists: Mike Elden, Charlotte Jones and Nicki Lane. All our professionals aim to give our members a well-rounded and enjoyable musical experience and enhancing their own abilities. Great friendships are forged wherever groups of people with a common purpose meet regularly. All the choirs’ weekly rehearsals create a natural camaraderie – new members often comment on the friendly welcome they receive from other members of the choir. And when it comes to performance, the common aim of singing together as a balanced and harmonised choir enhances the team spirit that bring members together. It’s a natural high and extremely rewarding. Why not give it a try? !